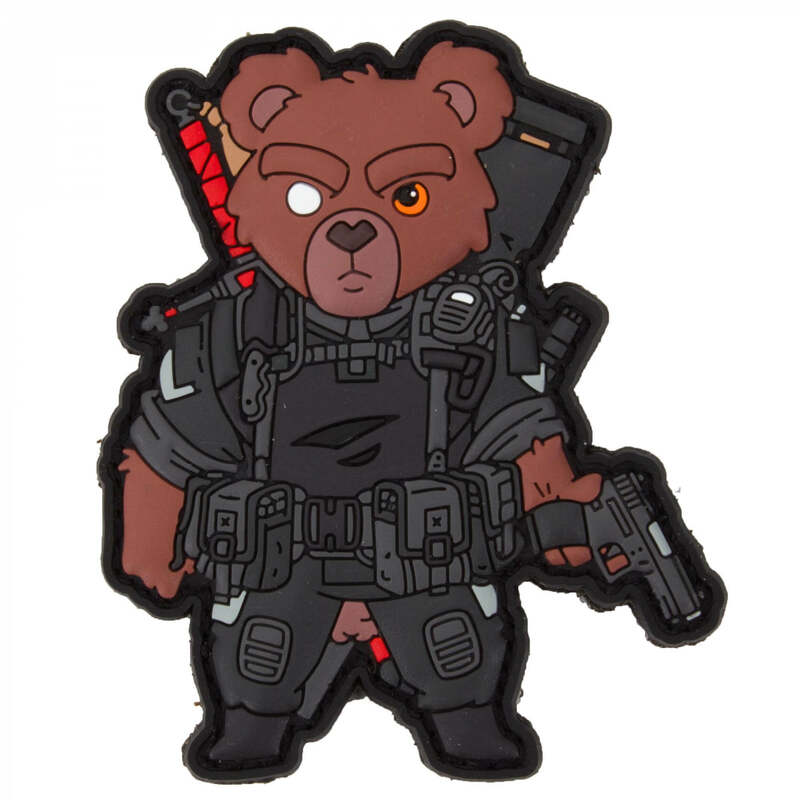 Meet Belthazor, The only Tactical Teddy that is a part of both Templar and Forgotten!! Once charged with the care of twin brothers, this teddy had his work cut out for him from the start; because of his story, not many teddies get TWO charges to look after! For the fear that history will repeat itself. Shortly after completing his basic training at TTHQ one of the brothers was attacked by a nightmare & sadly didn't survive. Now losing a sibling is difficult enough for a child, but to lose a 'twin' has insurmountable affects.The death of one charge allowed Belthazor to be induced into the Templar; but when the surviving brother distanced himself from him and then Forgot about him all together, it created a 'self-serving' mentality which allows him to be apart of the Forgotten, for he sometimes answers the lull of the Nightmare. No one ever knows which of the two factions you get when you cross his path. Some say it is in his eyes, where you can decipher if you'll get nobility or strife. One thing is for sure; that is Belthazor makes no better friend and no worse an enemy. Specially crafted high-quality and flexible rubber patch in 3D look, highest qualityContour in 3D optics. On the back there is a Hook surface, which is sewn with the patch. Thus, the patch can be easily attached to each loop surface. The compact size allows fast and individual attachment to patch surfaces, such as, for example, on basecaps, backpacks, jackets, deployment vest, helmets etc. TacOpsGear MoralPatches is since years well known for the highest manufacturing quality 3D rubber patches. Furthermore we manufacture for numerous well-known firms worldwide. Our satisfied customers also include government departments and special units in our homeland germany and worldwide.